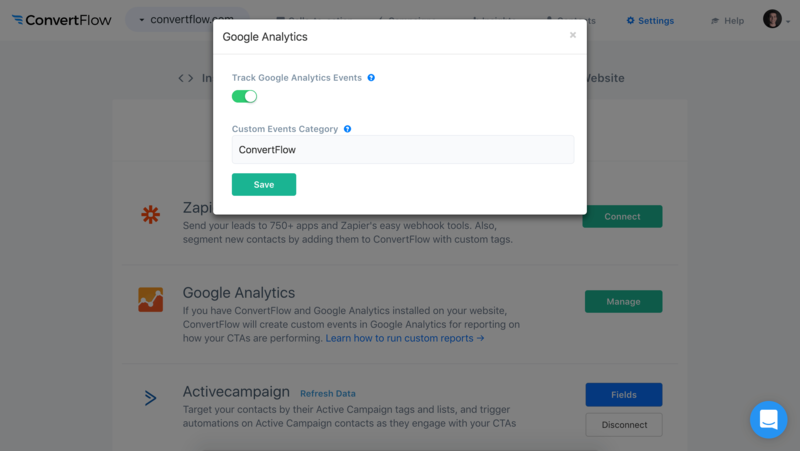 If you have ConvertFlow and Google Analytics installed on your website, ConvertFlow will create custom events in Google Analytics for reporting on how your CTAs are performing using their advanced reporting interface. ConvertFlow GA events can be enabled/disabled from your website's integrations page by clicking "Manage" on the Google Analytics integration. You can also control the custom events category name. This will default to "ConvertFlow". To get these insights, head to Behavior > Top Events. You'll then find your GA custom event categories. Click on "ConvertFlow". You'll then find custom events for your CTAs with their counts. Click "Event Label" to organize these custom events by the name of your CTAs. 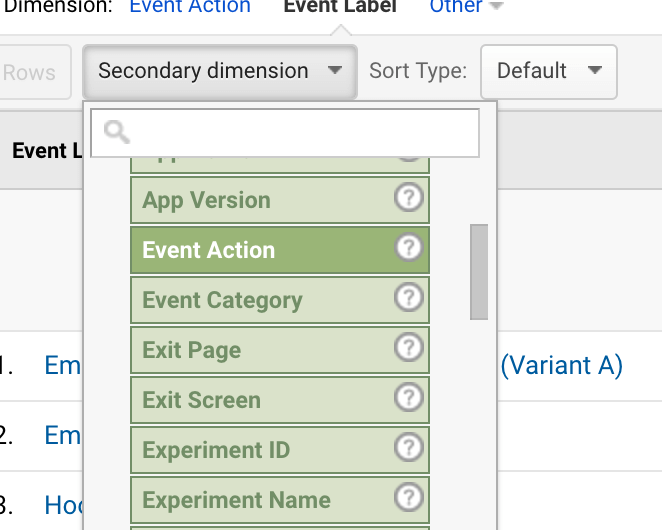 Now, we need to add a 2nd dimension to our report, to display the Behavior called "Event Action", helping us see how many views a CTA has, and how many conversions & completions. When analyzing the events, refer to the "unique events" column. If you have multiple scripts for the same Google Analytics property installed on the site accidentally, these events can double up, creating a discrepancy between the "Total Events" and "Unique Events" count. To filter these stats to a specific CTA, we can then enter a keyword from the name of the CTA we want to get a report on, and it will show us stats just for that CTA. With our report filtered to only show stats for 1 CTA, we can now choose options for how Google Analytics visualizes these stats. 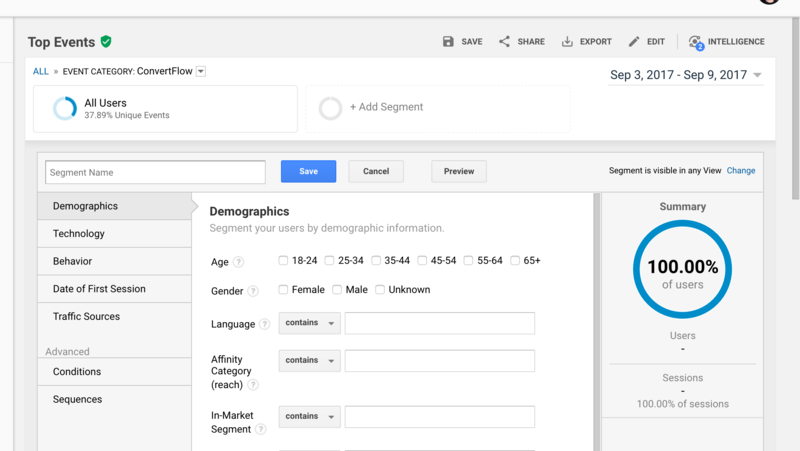 Also, you can refine these reports even further, opting to see stats for only unique visitors, as well as defining segments of your audience, based on advanced conditions, that you are seeing your ConvertFlow reports on. Need to access these reports faster? If you're frequently seeking ConvertFlow reports in GA, here's the URL you would access to begin reporting. Simply replace GA_PROPERTY_ID with the ID of the GA account you'd like to get ConvertFlow reports on. This can be found in the URL of just about any page in GA.